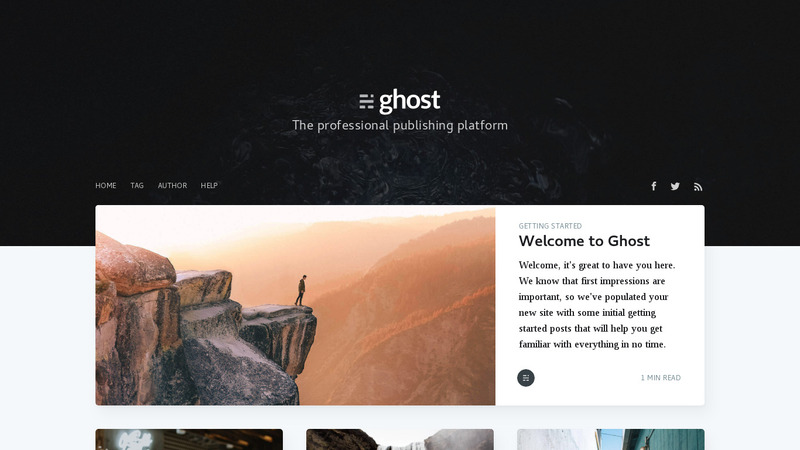 Ghost is an open source publishing platform which is beautifully designed, easy to use, and free for everyone. 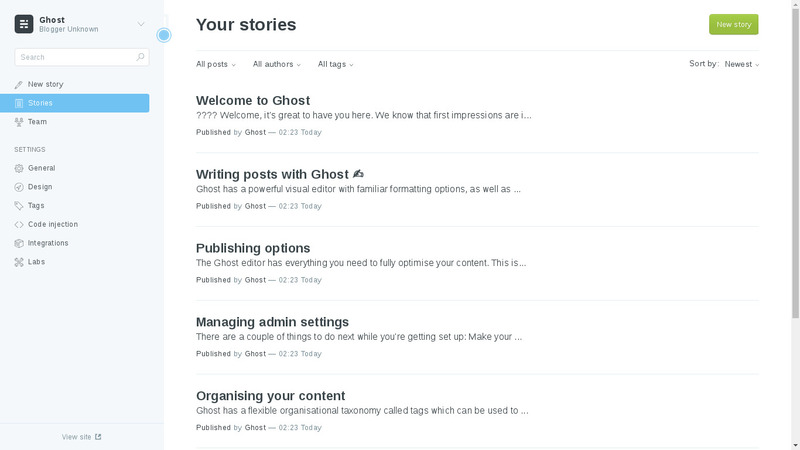 Start a blog with Ghost today and learn to blog! 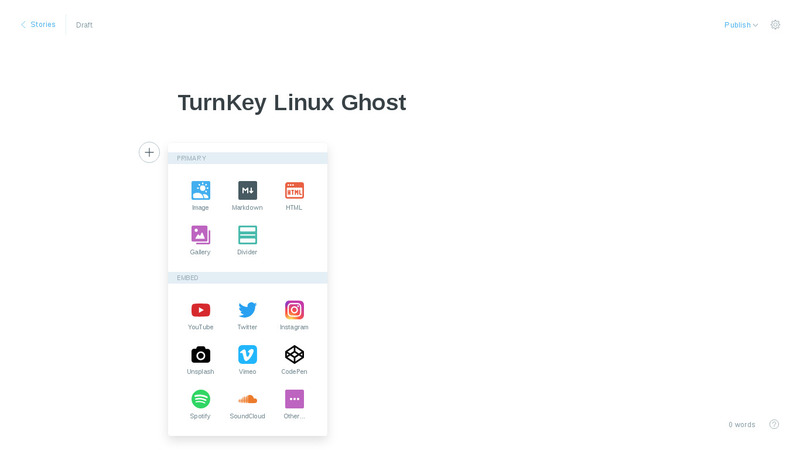 Ghost is a lightning-fast Node.js application with an Ember.js admin client and Handlebars.js themes. Security note: Updates to Ghost may require supervision so they ARE NOT configured to install automatically. See below for updating Ghost. Ghost process managed by pm2. Includes Nginx (webserver); pre-configured to proxy Ghost. Webmin module for configuring Postfix. Note: Check the Ghost docs to ensure that upgrading your current version to the latest is supported. Always ensure that you have a tested backup before proceeding with software updates. Ghost does not have a security only newsletter so we recommend that you subcribe to the Ghost Blog to keep up to date.